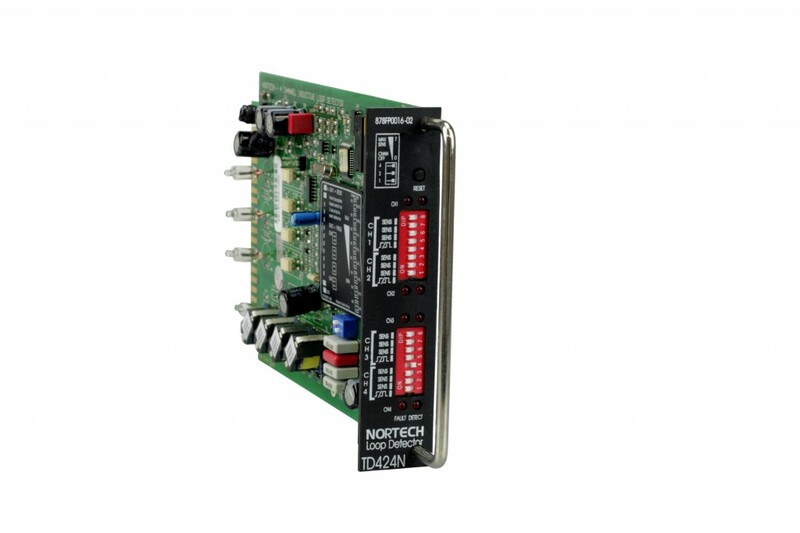 The TD424NT is a high performance, 4 channel, NEMA format, microprocessor based vehicle detector. This purpose designed traffic detector has been developed for general-purpose vehicle monitoring and traffic control applications. This unit meets the criteria for AS2703-2008. Configurable delay and extend timings allow customisation for specific applications. Mode selection to operate either as a Presence Detector or a Passage Detector. 2. Extend – 0 to 7.75 seconds in 0.25 sec. steps. 3. “Green” gating timer enabling via remote inputs. Connector: 2 x 22 terminal, 0,156 – inch contact spacing.